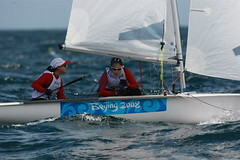 The 2008 Olympic Sailing Competition was held at the Qingdao Olympic Sailing Centre in the Chinese coastal city of Qingdao, located on the Yellow Sea, some 800 kilometres from Beijing. 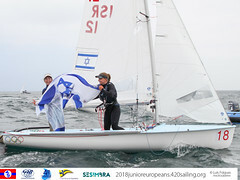 Just a month before the Games got underway there was a major scare as a giant algae bloom left huge areas of the race course covered in a green film. The city launched a huge cleanup operation, removing over 1 million tonnes of algae and erecting several giant fences around the racing areas to ensure, when racing got underway, the algae was under control. 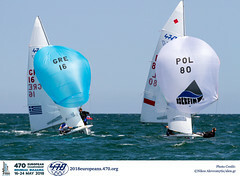 The expected light winds conditions prevailed throughout the early part of the competition, which combined with the high heat and humidity made for some extremely challenging racing. 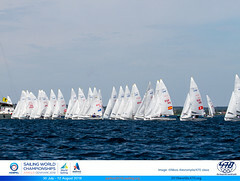 Over the second week of racing, conditions were much more varied, including severe storms for several of the Medal Races.